Stansted Airport transfers to and from central London with our service via Stratford with Airport Bus Express. 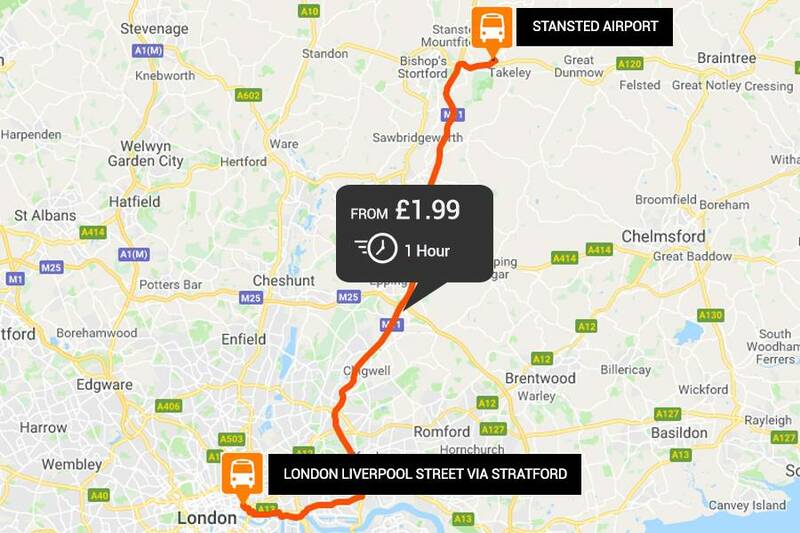 The service runs every 30 minutes from the pick-up location Stop 20 which is a short walk from the Stratford mainline station. ¡No se preocupe si su vuelo llega temprano o tarde! Normal ticket desk fares would be chargeable outside of the 60 minute time period specified in the policy.